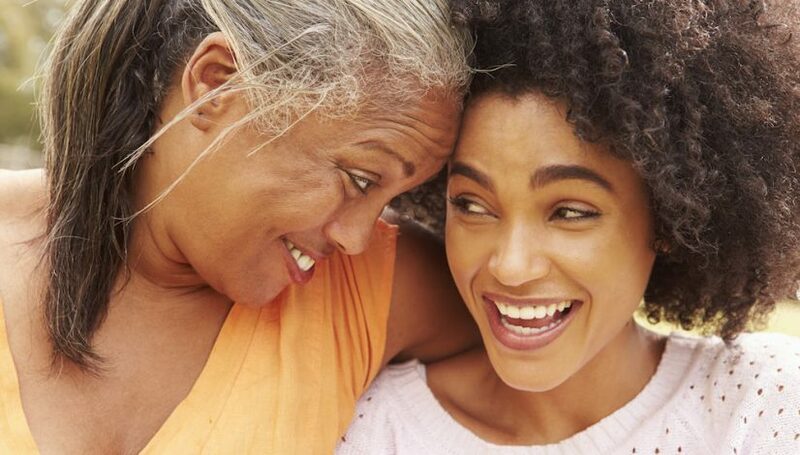 Smoking weed with your family members can be a real bonding experience. The initial awkwardness of partaking in a session with the people who birthed you may have you feeling like you’re breaking some unwritten law. But, once you get over that feeling and become comfortable in the situation, it can be pretty awesome. Singer-songwriter, Melissa Ethridge, revealed that she smokes pot with her kids during Yahoo’s Weed and the American Family project. “It was funny at first, and then they realized, it’s a very natural, end-of-the-day [thing] … And it brings you much closer. I’d much rather have a smoke with my grown kids than a drink,” Ethridge said about her shared cannabis use with her kids. The stereotypical munchie-driven stoner-dude persona is a thing of the past. Your regular stoner is starting to look more like the mom and dad next door. The couple who just wants some peace and relaxation time after their kids go to sleep. Marijuana can help individuals relax after a long stressful day. And who’s more stressed out then a couple of parents raising their kids? Whether it be with your kids, parents, uncles or aunts; smoking with your family can be a great experience. If you’re feeling weary about initiating a session, remember that your older family members have probably dabbled with Mary Jane since the 70’s. While there is a lot of benefits of smoking up with your family members, you may find some downsides. Here are some pros and cons of smoking weed with your family. Let’s start with the positives. For parents, smoking weed with your child may make you question if you’re making the right decision. But, like your child’s first experience with alcohol, it’s more comforting to have them experimenting with you rather than sneaking around and participating in it behind your back. Honesty is important in your relationship with your child. You want to make sure they feel comfortable sharing thing with you. Another pro of smoking weed with your family members is that you seem to learn something new every session. Whether it be a story about “the good ole days” or a new rolling technique, toking with your relatives will have you learning things you never knew before. Trust us, your Mom and Dad probably know how to roll a joint better than you can. If you’re lucky enough to come across an opportunity to smoke the ganja before a family meal, take it. There’s nothing better than having those munchies come on along with the rest of your family right before a big meal. Best suggestion? Trying this out during a holiday meal like Thanksgiving or Christmas dinner. It’s a magical experience. Also, smoking weed as a family creates a sense of maturity for the younger siblings or children in the family. Some go as far to describe it as a passage to adulthood. You know your parents and older relatives view you as an adult when they allow you to partake with them. It’s a sense of freedom that comes from passing the pipe around with those who raised you and/or those you looked up to. Lastly, having such a new and unique encounter with your family is something you will remember forever. Being able to see what the other one is like while high as a kite can be quite interesting and entertaining. Maybe your sister is a silent stoner, while your mom may find out she has some comical talent as your dad sits there giggling away. If you ever get the chance to see this new side of your relatives, consider yourself lucky. One of the biggest downsides to smoking weed with your family members is the awkwardness that can come with it. Yes, for some it may be a great bonding experience, but for others, it can be totally bizarre. A feeling of discomfort may be felt due to the fact that you’re familiar with following certain rules and expectations while around your family. It may just feel downright odd and unnatural. For parents, smoking weed with your kids can be frowned upon by those with negative views on cannabis. If your child has grown into an adult, this is really something you should not worry about. A Yahoo News/Marist poll showed that 47 percent of parents who use marijuana at least once or twice a year say they have consumed it in front of their children, shared it with them or done both. There’s always going to be people who disagree with your actions. But as long as there are no risks and your child is an adult, there’s really no harm. You may find out that you have opposite types of high, which can be a real downer during a smoke sesh. One may be feeling quite laid back and relax, while the other may begin to feel self-conscious. A clash like this may ruin the vibe and create an unenjoyable experience. Lastly, in more extreme and disastrous cases, someone may experience a too intense high or may even green out. The last person you want around during such experience is a parent or sibling. Once you have an occurrence like this, you will never want to smoke up with your family ever again. If you’re lucky enough to have an opportunity to smoke with your family members, take advantage of it. Most of the time, it can be an amazing experience. If you’ve reached an age in which your family members are more like your friends than strict authority figures, then your most likely going to enjoy this special and unique time together. It’s all about being comfortable and accepting the situation. For those who just can’t see themselves smoking with family, or have tried and have had a bad experience, then it is what it is. Smoking weed may just be a part of yours and your family member lives in which you keep separated from one another. Keep hiding that smell of pot and keeping it to yourself. The biggest con of all may be having to share. The post The Pros and Cons of Smoking Weed With Your Family appeared first on High Times.